I am beyond excited! Tomorrow I will be evaluating for my second degree black belt and I wanted to share a couple of things that I’ve discovered about myself. After 7 years of training at the Martial Arts Center for Health, I am still learning things about my body. As a child I could never sit cross legged and I put it down to being inflexible. Not so. I discovered last year that my L5 and S1 in my spine were fused since birth. Today I was told by a physiotherapist that she was surprised that my body wasn’t more out of alignment, due to the fusion of these two vertebrae. I told her that I had been training at the Martial Arts Center for Health for 7 years and I explained to her a bit about what we do in our classes. She said that there was no doubt in her mind, that the training had corrected a lot of the alignment issues and problems I otherwise would have been experiencing. I might never be able to sit cross legged or execute a proper side kick, but I am amazed – on a daily basis, at what I CAN do! My other bit of good news was that 6 years ago, I had my first bone density scan and I was diagnosed as having osteopenia, a condition where the bone mineral density is lower than it should be. This was confirmed with a common test, which showed that I was losing bone. A few weeks ago, my doctor re ran that same test and I was told that I am no longer losing bone mineral (yaay!) and that in fact, my bones have GAINED density over the years. I am not taking any prescription drugs to correct this condition and as a woman entering the menopausal phase of her life, I once again truly believe it is due to good supplementation, nutrition and most importantly, my training at the Martial Arts Center for Health, where we use our own body weight to hold positions, thereby helping to strengthen and build our bones. As I look forward to the next milestone in my training, I am forever grateful for having stumbled upon this Altamonte Springs gem all those years ago. I trained at the Martial Arts Center for Health from 2000-2002 as a teenager (starting right before the move to the current location.) Even though I had to move away for college and graduate school, the lessons I learned in those two years have helped me for the rest of my life. The principles of mindfulness and noncompetitive self improvement have helped improve every discipline I have attempted since then including both academic and physical pursuits. I have tried to bring the same mentality and mindful awareness to every discipline of movement I have attempted since, from running to swimming, biking or dance lessons. Time and geography have taken me in some very different directions than my training days at the Martial Arts Center for Health, but nevertheless, the principles I learned still hold even if the details have changed. I’m very proud to say that I completed my very first ironman Triathlon last Sunday in Chattanooga TN! I just want to thank you all for being such a huge part of my life growing up and let you know that the martial arts training was tremendously helpful to me. I love you all and am very grateful for everything I’ve learned at the Martial Arts Center for Health. And yes, I will eventually finish graduate school-soon. I will let you know when that happens! Also, I’d like to send a hello out to all the members who I trained with all those years ago. Clara Calderon is a wife, mother of two, breast cancer survivor and martial arts practitioner. Her husband Dave Calderon joined the Martial Arts Center for Health and began to receive amazing health benefits. Clara witnessed these changes in her husband and made the decision to join MACH shortly after. Clara had been training for about a year when she was diagnosed with breast cancer. She has expressed how much the Martial Arts Center for Health environment, knowledge and family supported and help her make it through her battle with breast cancer treatments and surgeries. Clara’s health has become top priority and she started focusing on weight loss. 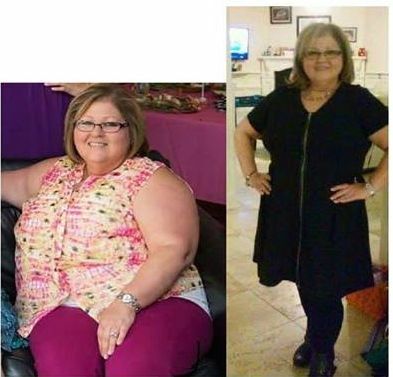 From June – December of 2014 she has lost 45 lbs and gone from a size 22/24 to a size 16/18! Stories like Clara’s are inspiring and plentiful at the Martial Arts Center for Health. If anyone is looking for improved health or knows someone struggling with health challenges, send them our way!